Situated in the heart of beautiful Strathspey in the Highlands between Aviemore and Grantown, Nethy Bridge is the perfect centre to enjoy the countryside of the glorious Scottish Highlands. 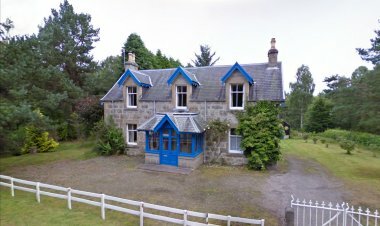 The village of Nethy Bridge has been a popular holiday destination since Victorian times, and is perfect for exploring the beautiful, ancient Caledonian pine forest. A beautifully renovated 1830s Mill surrounded by farmland and hills, located on the Glenlivet Estate in the Cairngorms National Park. The Mill is the perfect place to relax with family and friends after exploring the local area and beyond. Enjoy the casual luxury of the Mill for your next holiday. Rymore Wood Lodge is the idyllic Highland retreat located deep in the heart of the Cairngorms National Park, nestled in 20 acres of private Scots Pine forest. Ideal for families, friends, skiers, walkers and nature lovers alike. Large garden, open fire and wood burning stove. Dogs welcome. Wifi. 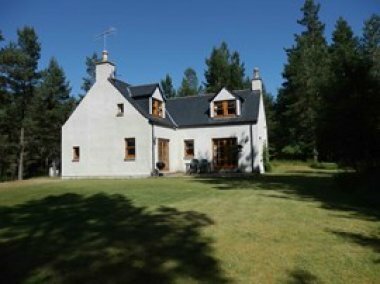 Craignay self catering holiday house is an attractive detached house in the village of Dulnain Bridge. Ideal location for golfing, fishing, hill walking, rock climbing and sailing. Explore the Cairngorms National Park.